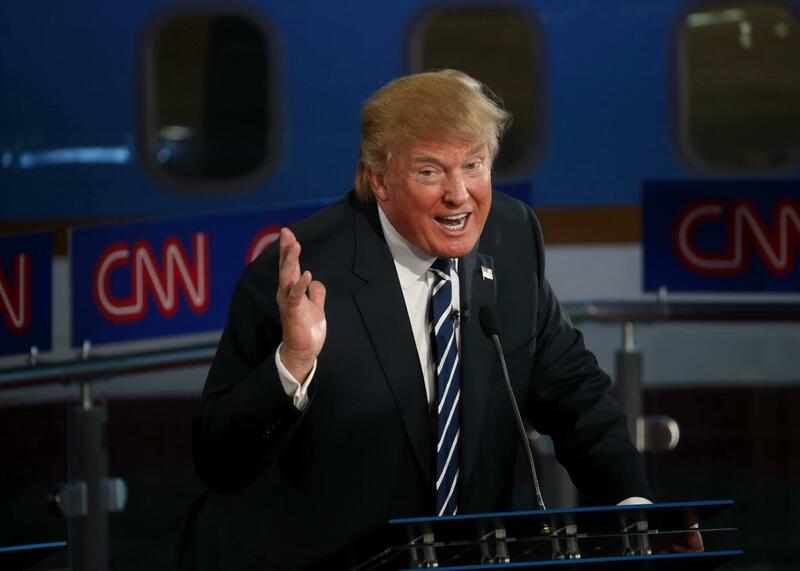 Donald Trump threatens to boycott CNBC’s GOP debate. Donald Trump takes part in the presidential debates at the Reagan Library on Sept. 16, 2015, in Simi Valley, California. Donald Trump is at it again. The former-and-future reality television star suggested Thursday that he might not participate in the next Republican debate if CNBC doesn’t agree to his demands. Trump’s top two complaints are that the network wants to scrap opening and closing statements, and that the debate is set to run for longer than two hours. The GOP front-runner (yes, still) stopped short of explicitly threatening to sit out the event if he doesn’t get his way, though his campaign manager made it clear that his man would need to be convinced to be on the stage in Colorado on Oct. 28. “Until we have this criteria specifically laid out, it is difficult to participate,” Corey Lewandowski told the New York Times. Such posturing, of course, is a standard practice for Trump at this point. He began his GOP campaign by openly refusing to rule out a third-party run in the name of “leverage.” He’s also repeatedly promised to boycott Fox News over what he says is unfair coverage but has never actually gone through with it. (That is unless we define boycott as appearing on the network more than any other GOP candidate.) Likewise, in the lead-up to last month’s GOP debate, he tried to pressure CNN into donating its profits from the event to TBD veterans groups of Trump’s choosing. That didn’t happen, yet there the Donald was standing in the middle of the stage in Simi Valley, California. So, would Trump actually sit out the debate? Almost certainly not. His campaign runs on free media, and his debate performances have proved to be a renewable resource for his campaign given how much time he spends reliving them on cable news and on the trail. Still, don’t be shocked if CNBC meets Trump and the rest of the field partway, either by making time for prepared statements or by trimming a few minutes from the debate. If either happens, Trump will have achieved what he set out to do: limit the time he can be asked specific questions that he clearly doesn’t know the answers to.